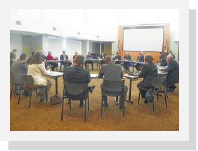 A few weeks ago I mentioned in these pages that we will be working collaboratively within Extension and across campus and the communities of Ohio to more effectively address issues and opportunities in the area of community health, broadly defined. You may recall hearing the IGNITE talk by Andy Wapner of OSU’s College of Public Health. Andy leads OSU’s Center for Public Health Practice. Plan for Extension to be working more closely with Andy and center staff to better engage Ohioans in conversations focused on community health in 2017 and beyond. OSU Extension Director Roger Rennekamp plans to hire new position(s) to engage community health coalitions and facilitate community conversations surrounding health. Furthermore, I think we can also anticipate organizing our efforts in closer alignment with the mission of the Robert Wood Johnson Foundation, an organization dedicated to building a national ‘culture of health.’ Combine these and other efforts with a broad university response to Ohio’s drug epidemic (see January 30 Campus Conversation below) and we can begin to see what a ‘Health Extension’ might look like. This will be a key discussion topic for us when we come together throughout 2017. On Monday, January 30, 2017 from 9:00 AM to 3:00 PM at the Nationwide and Ohio Farm Bureau 4-H Center, we will be convening to discuss the role of OSU in reducing the impact of the opiate epidemic in Ohio. Co-chairs Roger Rennekamp and Bill Martin (Dean of OSU College of Public Health) hope to attract between 100-150 participants, mostly from OSU, to discuss how we might work with state and federal partners as well as the local communities to develop a preliminary state-wide strategy. Registration information will be forthcoming soon. Attendance is capped at 150. There will be no charge to participate. Lunch will be provided by the College of Food, Agricultural, and Environmental Sciences. March 29, June 1, September 27-28, and December 6…What do these dates have in common? Each of these dates should be scheduled as ‘state CD in-service meeting’ on your calendar! If they are not already, please hold these dates and plan to join colleagues as we discuss the biggest OSUE CD program effort of 2018 (the 2018 NACDEP conference! ), key programmatic and organizational goals for the next 3-5 years, and how we will be part of “Health Extension.” Other than the September dates (tentatively to be held in Cleveland), all in-services will be in Columbus. It is this time of year that we reflect on our best work of 2016 that is most suitable for peer recognition via NACDEP Awards. Please consider submitting your individual and team efforts in any of the awards categories described at nacdep.memberclicks.net/awards. Complete your application (find the application at the link above), but DO NOT submit directly to NACDEP! Email COMPLETE applications to Laura Fuller – fuller.467@osu.edu - by noon, Wednesday, February 1. Applications will be reviewed and state winners notified by Friday, February 3. Our state winners for all represented categories will need to submit by March 3 to NACDEP for national consideration at awards@nacdep.net. Awardees are presented plaques/certificates at the NACDEP Annual Conference in Big Sky, Montana. You may have seen my name mentioned along with the All-CFAES announcement shared last Monday (January 9) regarding Interim Director of CFAES Government Affairs. In the message, Interim VP for Agricultural Administration & Dean Lonnie King noted that “We are in the process of searching for a Director of Government Affairs and plan to fill the position in the next few months.” I am happy to report (more specifically) that the interim assignment is to conclude March 31. Until then, I intend to practice juggling the most pressing current and interim responsibilities and look forward to leveraging what I learn during this assignment to make our CD work even better. January 18 - 3 to 4 p.m.
Access instructions and register here. January 24 at 2 p.m. Rural areas, especially those facing economic stagnation or slow growth, often find that essential businesses such as grocery stores, restaurants, and coffee shops that provide employment plus enhance social capital are threatened by market declines. Some communities have turned to community supported business (CSE) approaches where groups of residents invest in these establishments through nonprofits, LLCs, or cooperatives in efforts to restart or retain the businesses. This webinar examines lessons learned by rural communities in Illinois, Vermont, and Wisconsin and asks whether a country store model that has been especially successful in Vermont might be in the future of rural areas in the Midwest. The webinar will discuss experiences with CSEs, organizational structures, and successes or limitations followed by a discussion of ways in which Extension and other groups could implement the concepts in their localities. A copy of the NCRCRD report can be downloaded here. Presented by: Norman Walzer, Ph.D., a Senior Research Scholar in the Center for Governmental Studies at Northern Illinois University. He is a past-president of the Community Development Society and regularly contributes to the community and economic development literature. In collaboration with Michigan State University Extension and UW-Extension, he recently organized an NCRCRD project that examined how community supported enterprises (CSEs) work across the U.S. and their potential for building and enhancing social capital. D-I-Y Video Creation: Mobile, Laptop and Studio will be held Tuesday, January 31 from 2 to 3:30 p.m. at the Denney Hall Digital Union on the Columbus campus. This is a BYOD (bring-your-own-device) event—bring your laptop/mobile device. In this interactive workshop, ODEE staff will help you get started making videos on a shoestring budget. They will cover tips and tricks for shooting video with your mobile devices, basic editing techniques using tools available to you on campus, and a review of the various options available to deliver your content to students. This session will be held in the Denney Hall Digital Union so you can explore the new video studio. Check out this intro video as an example of what you'll be learning how to create. Class size is limited - register here. OSUE is sponsoring two participants for the 2017 Leadership Ohio class. Enthusiastic about OSU Extension and working in Ohio? Interested in developing your ability to lead Extension into the future and build a network of professionals across the state? If your vision of your future includes building your career with OSU Extension, and learning more about the state of Ohio, then the Leadership Ohio experience may be just the opportunity you need! Interested educators, program staff, and specialists can apply by responding in 300 words or less to the question: “Why I am an ideal candidate for Leadership Ohio 2017.” To be considered for the 2017 class, send your answer to the question above (email is fine) to martin.1540@osu.edu by March 1. You can learn more about the program here. Direct questions to past participants including Barb Brahm, Carmen Irving, Ken Martin, Lisa McCutcheon, and Kate Shumaker. Your narrative will be reviewed by members of OSU Extension Administrative Cabinet. Two participants will be chosen. Applicants must send a personal check for $100 as an application fee. The tuition fee of $3,100 and travel and lodging expenses will be covered by OSUE administration. The Staff Career Development Grant provides staff with opportunities to further their growth and development. Eligible staff can apply for a Staff Career Development Grant of up to $1,000 for individuals and $1,500 for groups. Grants can be used for professional development, education or training costs related to job and/or career goals. Applications are being accepted until Tuesday, January 31. Read more. 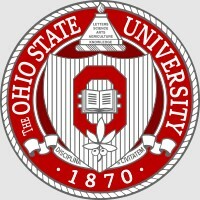 The Ohio State University Subsurface Energy Resource Center (SERC) is seeking applications from OSU faculty and research staff for seed grant funding. The total expected budget is $25,000, from which 3 to 5 subsurface‐relevant proposals will be accepted that are expected to leverage the SERC Seed Grants into a high return to the university. Proposals should be submitted to Mike Kositzke (kositzke.2@osu.edu) by January 31. The SERC Management Team will review proposals and make their decision by February 28. 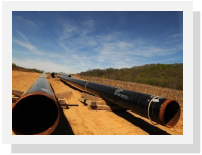 For proposals to receive serious consideration, they must demonstrate a clear relevance to subsurface energy in areas such as technological advances, environmental impacts and/or socioeconomic issues. The funding is for one year and requires a mid‐term and final report. 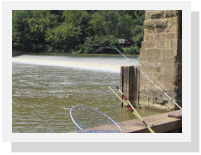 The Illinois Sustainable Technology Center (ISTC), a division of the Prairie Research Institute at the University of Illinois, and Illinois-Indiana Sea Grant are organizing the Emerging Contaminants in the Aquatic Environment Conference, which will be held on May 31 – June 1 in Champaign, Illinois. The conference is an expansion of the successful Pharmaceuticals and Personal Care Products in the Environment Conference held in Champaign in April 2016. ISTC and IISG encourage researchers, educators, businesses, government officials, outreach and extension professionals, environmental groups, and members of the general public to attend this conference. Registration will open mid-February. Oral presentation abstracts are due January 31, and poster abstracts are due February 28. More complete descriptions of these themes are available at: ncrcrd.msu.edu/ncrcrd/who_we_are. Proposals are due at 5 p.m. Eastern time, February 2. Proposals received after the application window closes will be reviewed by the NCRCRD director only (not referees) and not considered for funding in this cycle. Timeline for Awards: Award recommendations will be made at the NCRCRD Board meeting planned for late spring, 2017. Project PIs will be notified of the board recommendations shortly after the meeting. 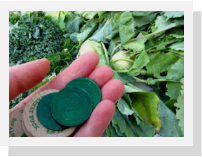 Board award recommendations will be forwarded to USDA for consent and approval, subject to budget availability, and finally processed by the Michigan State University grants office. 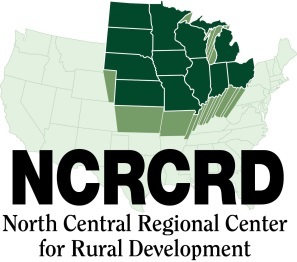 Projects funded under the NCRCRD small grants process are expected to begin in early- to mid-fall 2017 (exact start date to be determined by MSU grants office), and will be completed within 12 months of the start date. Details and how to apply: ncrcrd.msu.edu/ncrcrd/grants. The 2017 USDA ThinkWater Fellowship is designed to develop the systems thinking capacity of professionals in water education, extension, and outreach from strategic organizations, states, regions, and American Indian nations across the country. They are seeking professionals who work in positions that would allow them to plan and implement education and outreach programs to teach systems thinking to audiences working on or concerned with water. Fellows will be expected to develop and implement a comprehensive plan to integrate systems thinking into their water education, extension and outreach work. Fellows will receive focused training and professional development over the course of several months that will enable them to lead systems thinking education and outreach over the long term. The 3rd annual Cornell Systems Thinking Symposium will provide a venue for Fellows to present their statewide strategy and early insights about implementation in their state. Up to ten outstanding applicants who work on water programming at a state or regional level, including Indian nations will be selected. Fellows will be taught the skills, approaches, and theoretical frameworks of systems thinking to apply directly to their water programming. Specifically, they will be taught a proven method for teaching the universal rules underlying systems thinking that is suitable for all ages and populations. For the 2017 fellowship year, they are particularly interested in educators working on water programming in the following strategic states/regions: California, Colorado, desert Southwest, Southeast United States, Chesapeake Bay region, Great Plains, Great Lakes region, and the Mississippi River basin. Additional information, including a link to the application, click here. The Offices of Outreach and Engagement, International Affairs, Service-Learning, Student Life and Undergraduate Education have joined together to recognize faculty, staff, students and community partners with the University Engagement Recognition Awards program. Awards will be given in the community engagement, international engagement, service-learning, staff, student, student group and community partner categories. A total of $16,000 will be given out. Applications are due Tuesday, February 28. Read more. President Michael V. Drake invites you to attend his annual State of the University Address at the University Senate meeting on Thursday, January 19 at 3:30 p.m. in Saxbe Auditorium, Drinko Hall. Space is limited. The university address also will be presented online at the time of the event. In a continuing effort to ensure the best level of service is delivered through Ohio State’s designated travel agencies, the Travel Office needs your feedback. Access the Travel Agency feedback form as found on the Travel Office Web site and provide your feedback. This form allows users (travelers, arrangers and approvers) the opportunity to share opinions about their experiences.